Change is a word that seems to get a reaction out of everyone. Some people cringe when they hear the word, while others get excited. There is one constant in life that you can always depend on – change will always happen. So how can you begin embracing change effectively? 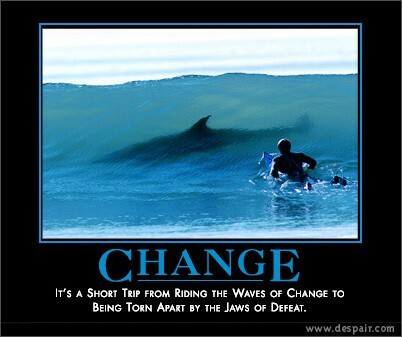 When you begin embracing change in life, you should look at it in terms of the opportunities it creates. When change happens, there are opportunities for learning and growth. As you begin embracing change, you will learn a lot about yourself. You will learn more about your strengths and weaknesses. As you learn of your strengths and weaknesses, you should work to leverage your strengths and improve in your areas of weakness. What Does Change Invoke In You? Change invokes various reactions in people. Because each person behaves differently, embracing change provides opportunities for personal growth. You will learn effective and ineffective methods to working with other people as you go through various situations. Seek out opportunities for change so you can grow. No matter what profession or life circumstance you find yourself in, you will always have opportunities for growth as change occurs. As you experience change in life you will learn to be more adaptable. You will learn how to handle a wide variety of situations. When something out of normal occurs, you will have experiences to fall back on for strength as you move forward. As you become more adaptable through various situations you will be more prepared for future unknown situations as they come up. When life throws you curve balls, you will be able to dodge them with ease.